Magical Butterfly Releases - A Safe Haven for Newborns | Pregnant Need Help? Life’s treasures are it’s special moments…. Enhance your celebration with a live butterfly release. Releasing live butterflies is an indescribably memorable experience.. Their simmering beauty and graceful flight are a wonder to young and old alike, indeed, few other creatures universally bring smiles to everyone’s face. Magical Butterfly Releases hopes to help make your special day even more spectacular with a butterfly extravaganza. Your guests will leave talking about the release and some may even be walking out with a butterfly on their shoulder. What a perfect photo or video opportunity! The Monarch Butterfly is nature’s ultimate symbol of change, transformation and beauty. Releasing live butterflies at a funeral or memorial service for a loved-one is a very special way to celebrate their live and honor them. What a memorable lasting tribute to them. We have learned about the wonderful world or butterflies and strongly believe in protecting nature’s treasures and maintaining our environment for future generations. We love what we do …our staff will always strive to provide you with an unforgettable, treasured experience. A butterfly release brings delight and excitement to everyone at your special occasion. It will capture wonderful memories only the way a butterfly can. We offer a variety of packages to suit your special needs and always welcome special requests. The staff at Magical Butterfly Releases looks forward to serving you to help create your Magical Butterfly Memories. Please visit our web site to see how we can create your lasting magical memories. The Net profits are donated to A Safe Haven for Newborns. A butterfly release symbolizes new beginnings and a new life. a monarch butterfly release brings gasps of awe and wonder as orange wings burst into the air. As the butterflies fly around and even land on some guests, you will see the delight and excitement on their faces. They will leave talking about the release and some may even be walking out with a butterfly on their shoulder! What a perfect photo and video opportunity! 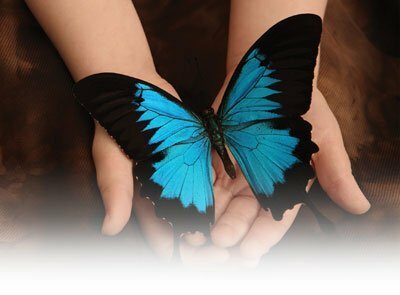 The butterfly release at your event can capture the memories of your special day. The earlier you order your live butterflies the better. This ensures that the butterflies can be raised with sufficient time for your special event. Although we do our best to have butterflies available for last-minute orders, the risk of not being able to accommodate you is greater. Funerals are the exception. How will the release butterflies be shipped? We ship your live butterflies via overnight delivery to arrive the day before your event. All butterflies are delivered in a specially designed, insulated container with a cold pack for a safe arrival. Just before shipping, your butterflies are hand fed and exercised to ensure their quality. They are then placed in the individual envelopes with their wings in a natural resting position. This prevents them from damaging their wings in transit. The butterflies require very little oxygen and will not suffocate when packaged this way.